If I were to plan the perfect bachelorette party this bohemian beach dinner from Kelli Hall would be it. With it’s relaxed atmosphere, vibrant colors and pristine ocean view this bachelorette party is perfection. I love the eclectic design of the tabletop with the carefully curated collection of patterned fabrics in hues of blue and ultramarine. Lanterns and golden Moroccan tea glasses add the final touches to the table. Any party where you get to relax in the sand with your girlfriends while fairy lights twinkle above, sounds like a great time to me! 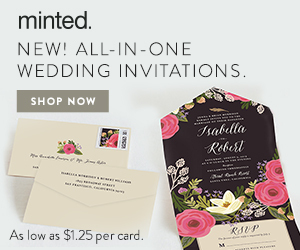 Visit Minted for more images from this styled affair.